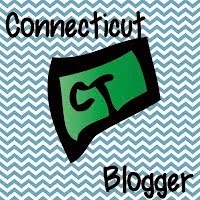 This past summer, I was reading (and rereading) a lot of books. Some of them were old favorites (see Skye O’Shea series by Megan Shull), while other books were new favorites, or ones that just had a really good quote. As I was reading, I wrote down the quotes in a notebook and I realized that the all these amazing quotes would make a really fun display. 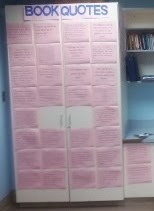 I typed up the quotes, printed them on pink paper and covered a double door closet I have in my classroom with them. As I kept reading into the Fall (and keep finding more amazing quotes), the pink has spread beyond the closet doors and onto the cabinets. I recently read a slew of running books (as inspiration for persisting with running in these cold, snowy days whose sun sets far too soon!). The number of great running quotes I found led me to make a separate running section headed by a poster taken from Runner’s World. The poster reads “It’s 5:30 am and there’s one place to be: Not in bed.” I love the poster not only for the runner relevance but also for the connection (and perhaps irony) that middle school students often get up by 5:30 in order to be ready to catch their bus. 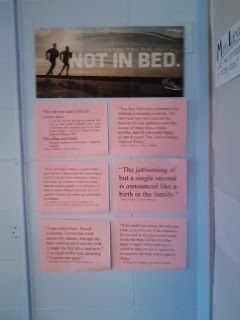 I like to choose quotes for the wall that can be applied to situations beyond those in the book. A lot of the quotes are aimed at encouraging middle school students to keep trying, to be open to new experiences, and of course, to pique their interest in books. It is always fascinating to see what quotes students (and teachers) read aloud from the wall. 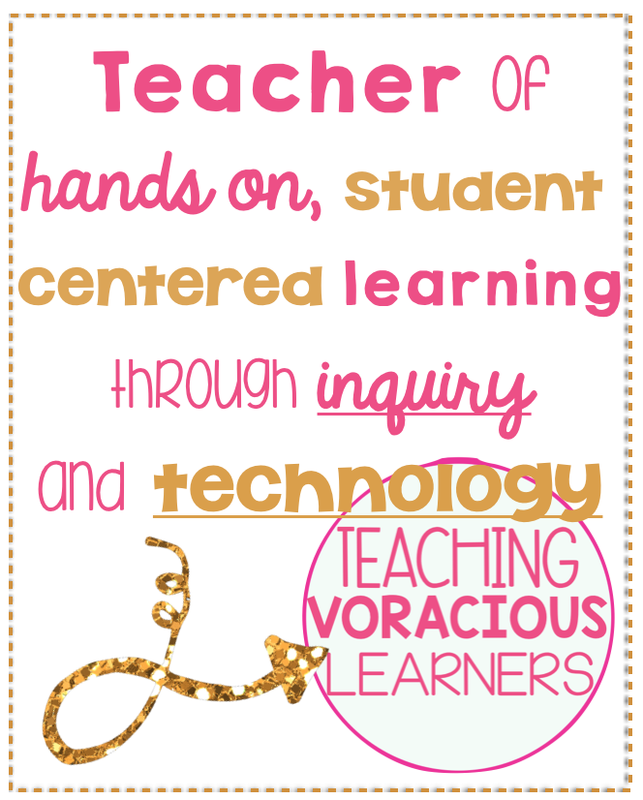 When students express an interest in one of the quotes, I usually have a copy of that book in my classroom, which allows them to take the book and read it. Something I am interested in trying is having students add their own quotes from their favorite books to the wall as a means of recommending books to fellow students.